I am beyond ready for summer this year. Every year we make a summer bucket list. Every year we overestimate how many weeks we have until school starts again. But we’re not letting that stop us. We’ll dream big, play hard, and not stress out if items on a fun list don’t get crossed off. And we’ll do it all on a budget. 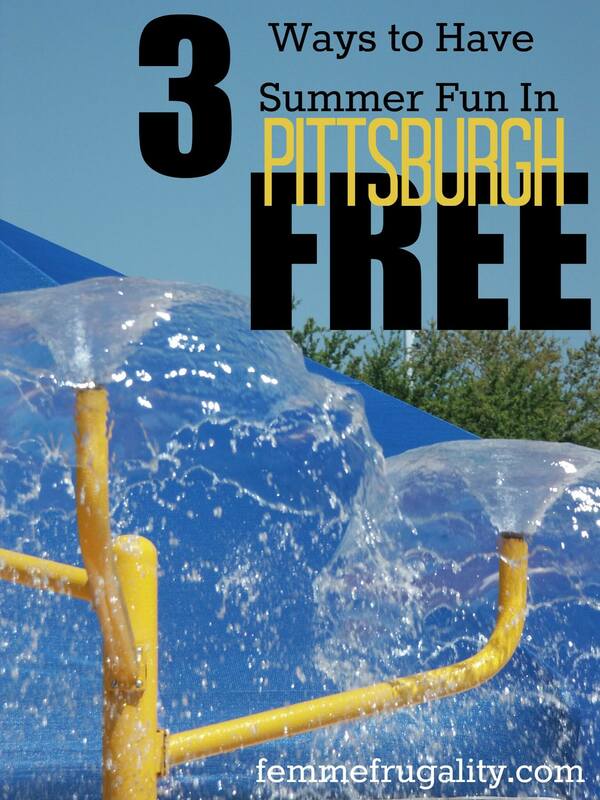 The City of Pittsburgh has six official spray parks, and we’re excited to hit them up. On hot summer days, they’re a great excuse to drag yourself out of the comfort of your air conditioned home without paying for pool admission. They are open May 30 and 31, but the real season begins on June 9. After that, they’re open until September. This isn’t technically in the city, but it’s my favorite playground ever. It wins the kids’ vote, too. 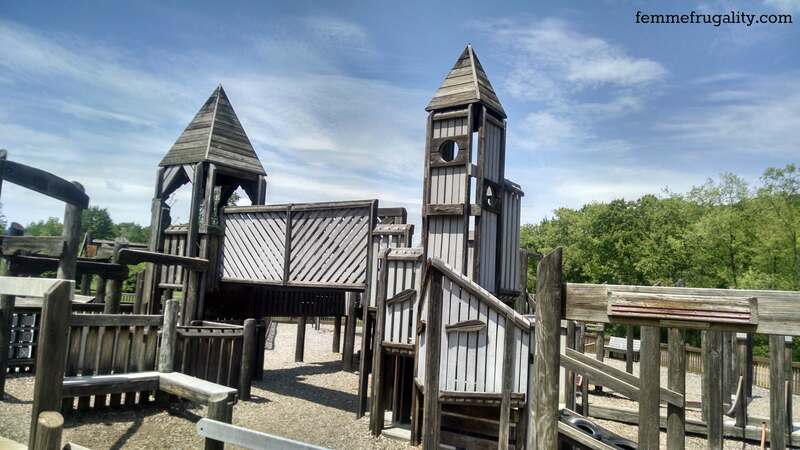 Located in Warrendale just south of Cranberry Twp, Knob Hill Park’s castle playground has no shortage of things to do. The little ones can climb, swing, play in the sand box, and engage in all types of pretend play. Mom’s favorite part? It’s fenced in. So if you’re only one parent with a bunch of kids, you don’t have to stress about chasing all of them around solo: just guard the drawbridge. A part of CMU’s campus, the Posner Center is an interesting museum that flies low on the radar. The Posner family left their rare book and art collection to be made available to the public. You can visit the collection between 1-4pm Monday through Friday. 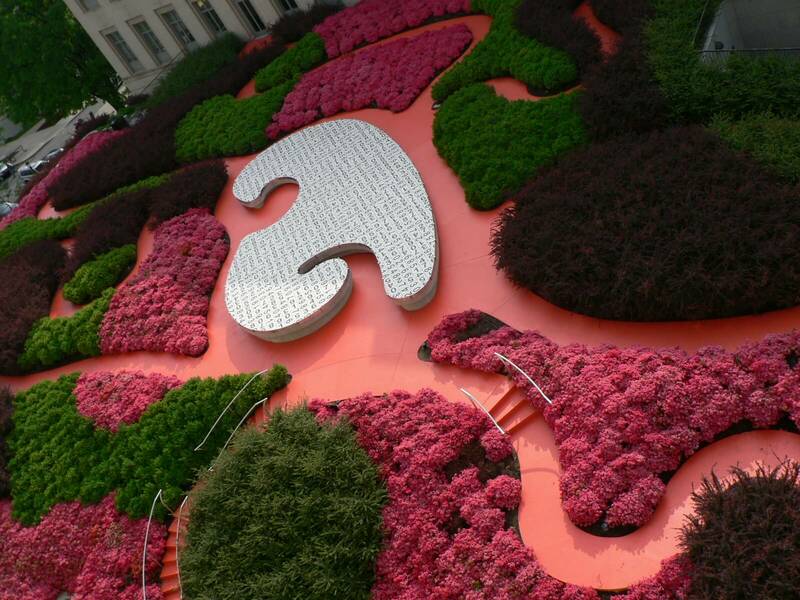 To top it all off, there’s a really cool art installation on the roof. Numbers adorn a huge bench in the middle of a labyrinth. I’m not sure if their arrangement has any meaning, but my little mathematician may just figure it out. What are your favorite free ways to have summer fun? This entry was posted in Ways to Save Money on May 27, 2015 by femmefrugality. Do it! Both of those things! I have a friend who owns a farm. In exchange for letting him stay at my place when he’s in the city, I get to practice archery on his farm (my backyard isn’t nearly big enough). I also enjoy hiking, which is especially nice during the fall when the leaves start to turn red and yellow. What a great deal! Love when I’m able to reciprocate with friends! I’m all about the outdoor stuff, too. Have you ever done geocaching? I love to attend local summer festivals…of course the food looks so yummy that it often isn’t a totally “free” trip. There’s also a local county park that has putt-putt golf, paddleboats, a playground, tennis courts, fitness trails, barbecues with picnic tables, and a gorgeous rose garden. My wife and I go there to walk, or bring our lunch for a picnic, or take photos of the stunning roses. All awesome ways to keep costs low and enjoyment high!